Today I’ve been encouraged to copy and steal other artists’ ideas or materials. Moi, steal? Sounds dubious. As with a couple of Goins’ previous challenges, I don’t know whether to blush or be smug this time. Thinking about it, yep, I’ve already done that. Steal! “We were just trying to copy everyone else, but we weren’t good enough. This is what came out.” Brilliant! Likewise I can hereby acknowledge that the underlying premise of my novel is not entirely original. Grown ups especially may draw parallels with previously published works. However, I’ve weaved an original plot, characters, settings, themes and ending into my own manuscript. And I’m convinced that as a new writer I’ve stamped my unique style throughout the pages. Yes there’s some good and evil stuff, yes the message may sound familiar, but that’s only through the lens of a grown up eye. And it’s not written for you. When I present my finished work of art, a novel for pre-teens, for publication and ultimately for eager children to get caught up in the story, they won’t be focussing on whether there are similarities with such and such author from a previous generation. In the same way when viewers have left the cinema, having watched yet another kidnapping-action-adventure movie, they tend not to groan about the common elements of previous productions. If anything, they tend to enjoy the familiar themes. Now I feel justified in what I’ve aimed for and created. Goins says it’s OK – and he seems to know a thing or two about writing. And seeing as he’s the one to have proposed this stealing stuff, I’m sure he won’t complain about me pinching that quote from his own site! When our first child entered the world several (uh, now 13!) years ago, I soon became aware that there were essentially two camps when it came to parenting infants and pre-schoolers. The two styles were easy to identify, as parents held firmly to a particular set of values and practices that stood in stark contrast to those of the other group. Personally, I get on well with a wide range of people and really didn’t want to have to choose between the two. I embraced some of the values from both parenting styles, but was unwilling to go the whole nine yards and fully endorse one particular philosophy. I was also reluctant to conform to what the latest bestseller on parenting had to say – preferring to model those parents whom I could actually observe in action, and see them relating to their children in a variety of situations. In the area of discipline these people proposed gentle guidance and steered clear of anything that might be deemed authoritarian. They were also anti vaccinations at any age, favouring natural cures over medical intervention, and often raved about organic and eco-friendly products. On the other end of the spectrum one could often find the highly structured and rigid rules laid down by Gina Ford’s Contented Little Baby Book in 1999 (An expert who’s never had a child of her own.) Although less rigid than earlier gurus (i.e. Nobody today would advocate strict limits on cuddling), many elements remained the same. Such as not having the baby in your bedroom, ever; pretty tight scheduling of breast or bottle-feeding, along with early introduction to solids. The folks in this camp also stood for defined parental leadership and strict discipline in the area of child rearing, and would accept every drug or vaccine on offer at the earliest opportunity. As far as I could tell, both styles obviously had their flaws, though in my early days as a mother I felt pressured to side with one of these polarized views. It was unsettling, and somewhat disturbing; I just wanted to be free to be friends with all kinds of parents and let others feel free to do their own thing. Thus over time I began to wonder about the prospect of parents establishing their own, individually crafted style of parenting. One that includes a measure of common sense, practicality, nurture and compassion, mixed in with a whole lot of love; one that seeks the best for one’s children, yet not at the expense of letting them rule the household and dominate your every moment. I would now encourage parents to draw on the expertise of many and consider opinions from a wide variety of sources – from mother-in-law to community nurse, or friends down the street – while adapting what they’ve learnt in the best interests of their children and their unique family unit. I also support the right to try things out and make mistakes. That’s right – we all learn from our mistakes. At the end of the day I’d just like to see more balance, an attempt to steer away from any extremes. Ultimately your child is not a carbon copy of anyone else’s. 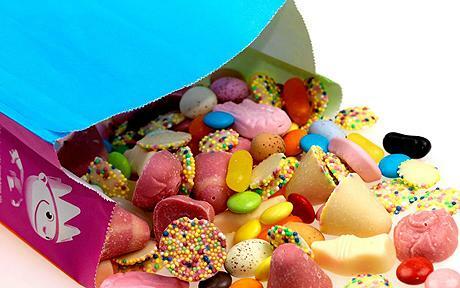 In an age where there are so many variables, like allergies and ADHD, it seems appropriate in some areas to try a bit of pick ‘n’ mix in the realm of parenting philosophies and admit that sometimes one size doesn’t fit all. Just this year in the news there have been reports about baby experts’ books leaving mothers feeling ‘confused and inadequate’; something which I only wished I had learned earlier on. It would have relieved some of the pressure. 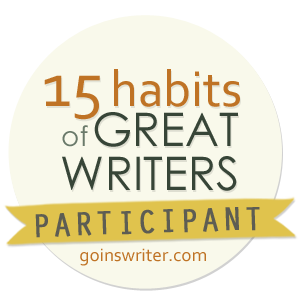 The writer’s challenge for today is to initiate something. Anything related to writing. Just get going with something new, something you’re a bit scared of doing. In starting this blog, I feel that I’ve already begun delving into the realm of the scary and uncertain. Will I have anything of worth to say, will anyone ever bother reading? Today I recognise the need to keep the momentum going and to simply keep writing. I decided to take up yesterday’s challenge, waking earlier to write something, and it seemed like a worthwhile plan of action. I actually did get some writing done; 832 words to be precise, though the piece is in serious need of editing. All the same, 832 words more than I would have usually achieved before 9am on any given day. And I guess that can be defined as progress in the world of writing. As my second draft is awaiting return from my editor, it wasn’t the novel that I was working on this morning. Instead I chose to start an article piece, one of the many articles sitting around waiting to be written, built on nothing more than a title I’ve devised at a random moment in the past. This one is called ‘Customize my faith – The trouble with formulating a faith to suit my lifestyle’. I’ll put it out here once it’s finished. My response to the call to ‘Initiate’ is thus to develop this blog and actually get some articles out there, ready for whatever opportunities lie ahead. Who knows where it all may lead? Today I have been challenged to focus on my belief in myself as a writer. Do I truly believe that I can write and be published? Without a doubt, I do. Since the day I had my first article published in the New Jersey Bergen County ‘Parent Paper’; since the day I recovered my old, tattered third year (Yr 9) essay (‘First Chapter of a Novel’) – entitled ‘New Beginnings’ – and read Mr Smart’s comment at the end: “You have the makings of a writer, I think”. He was the most inspiring, witty and memorable teacher I ever had. I treasure his words, as they help bolster that belief. I have been paid to write as a freelancer for a national charity, I have been published numerous times on a Christian webzine. I believe I can do this. For me the challenge is now: Do I believe in myself as a novelist? As an author?